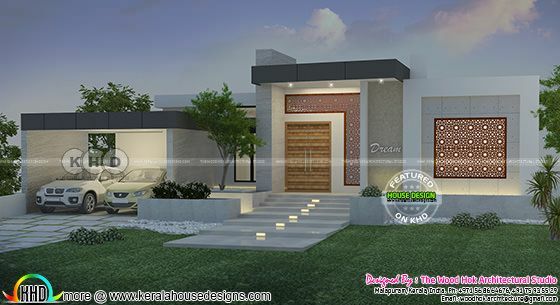 Introducing new design firm to KHD viewers, The Wood Hok Architectural Studio from Malappuram Kerala. 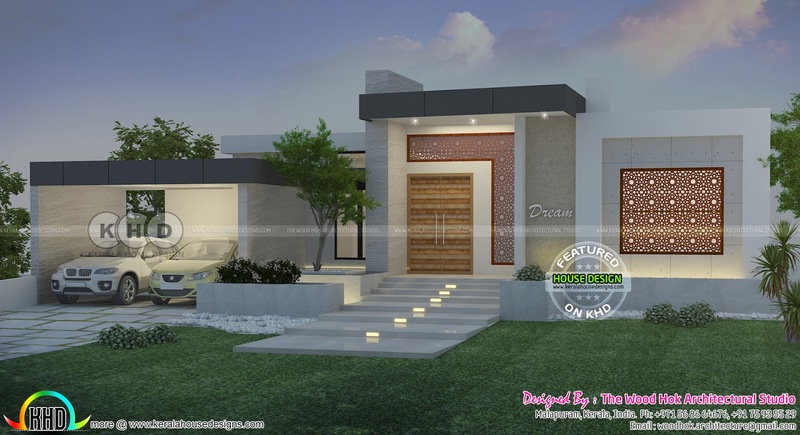 Presenting 1210 Square Feet (112 Square Meter) (134 Square Yards) 2 bedroom modern home. Total Area : 1210 sq.ft. 0 comments on "Single floor Modern contemporary villa by Wood Hok Architectural Studio"